Spring is here, and it's time to announce my first workshop of 2017! 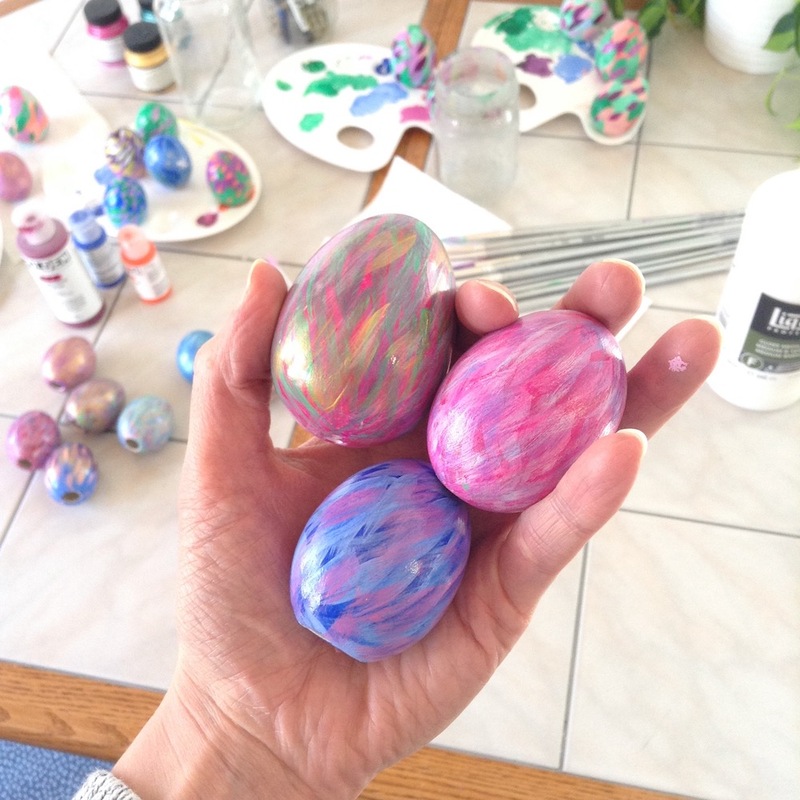 I've been looking forward to painting more eggs since last Easter when I hosted an in-studio "practice" workshop with some close friends and family. It was so much fun and hope you can join me for this year's workshop at the always adorable shop in Morton So Chic Boutique. Click the button below for more info about the class and to register! A limited number of them will be available for purchase every month this year if you're interested in stocking up before the holidays. Find them here! 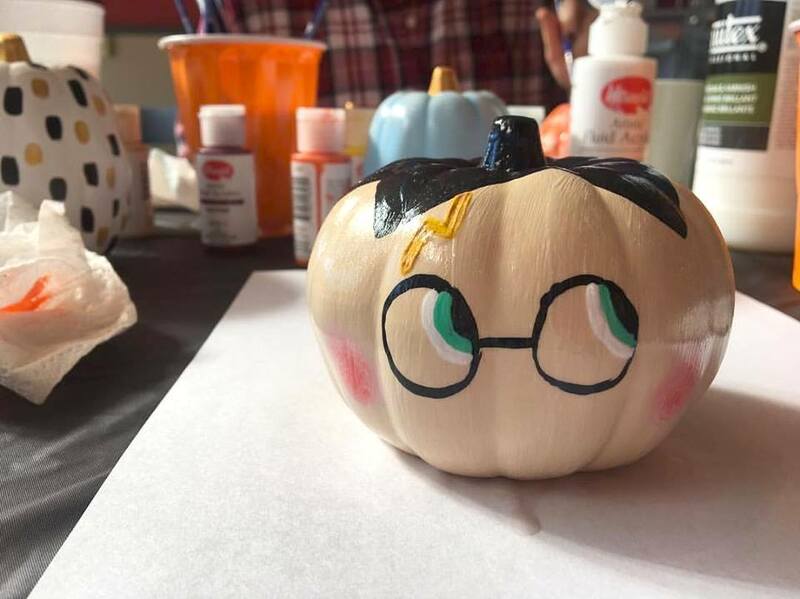 Well, my pumpkin painting classes are officially over for the year! It was surprising to me how much I actually loved hosting these workshops. I've never really considered myself much of a teacher, but I've learned that most of the challenge of putting a painting workshop together is just in making sure you provide the right environment and materials. It's much less about me and much more about people having fun with paint and brushes and friends. During the Morton classes at So Chic Boutique, people brought wine and drinks and shopped the store while waiting for their pumpkins to dry. I love the atmosphere of the little conference room Sara has designed. She really knows how to throw a party! Everyone's pumpkins were all so unique and creative! I loved seeing what people came up with...especially in love with the black and white spider web designs. Fae, the owner of the bakery in Lincoln, got up early to make us all homemade cinnamon rolls and fresh coffee to enjoy while we painted for this morning class. It was heavenly! I so appreciate generous business owners who are willing to partner with me to put on great events like these! We're already planning more classes for next year including a mother/daughter cupcake-themed Valentine's Day class in January (trust me, it'll be adorable) and a few Easter egg events in February. I'm of course expecting a baby in March, so I'm trying to get the classes in before I take a few months off for a maternity leave. Thank you to all of my lovely students for signing up for my Fall classes! It was an absolute blast- I can't wait to do more! 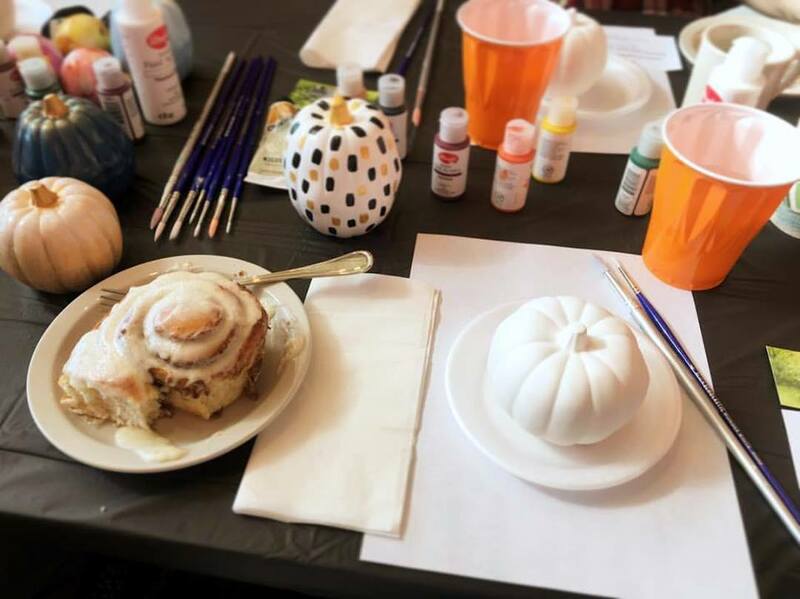 Registration is open for the Christmas ornament painting classes, so sign up early to reserve your seats. You won't want to miss these!